Panash founded Cambridge Kids Club in 2011 after doing a management buyout of Cambridge Childcare LLP. Panash studied for his undergraduate degree at the University College London. 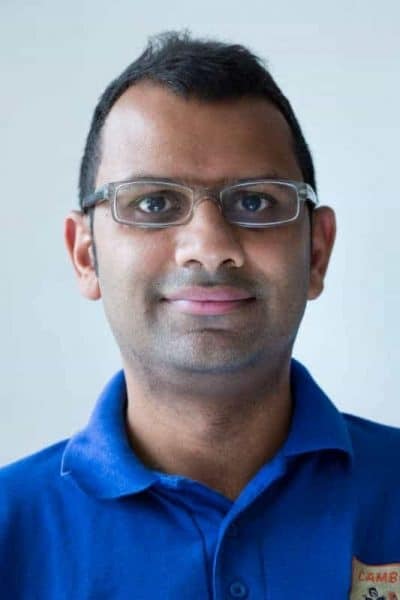 Panash has always had an interest in the childcare sector and after finishing his MBA at the University of Cambridge Judge Business School in 2009 he was presented with an opportunity to take on the role of MD of Cambridge Childcare LLP. With his passion for running his own business he carried out a management buyout and took over the running of two clubs from Cambridge Childcare LLP. 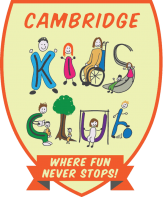 Today Cambridge Kids Club has grown into multi setting provider, operating numerous clubs around Cambridgeshire and running clubs of all sizes from those attended by 85 children daily to smaller clubs with only 15/20 children attending daily. Trustee of Play England - In 2018, Panash also took on the challenge of supporting Play England. Play England vision "Is for England to be a country where everybody can fully enjoy their right to play throughout their childhood and teenage years..."
Panash can be contacted at panash@cambridgekidsclub.com should you wish to contact him. Our Club Coordinator is Diego. 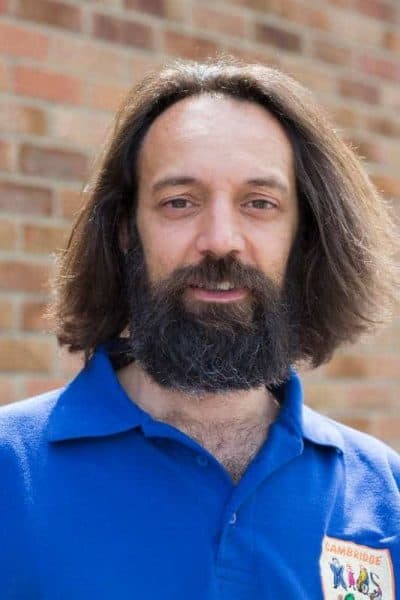 He is Italian and came to UK in 2008. He started his career with Cambridge Childcare LLP as a playworker. Over the years he then studied Playwork NVQ Level 3, which gave him the opportunity to become a key worker and playleader at one of the Cambridge Kids Club settings. His passion and interests to better understand 'children’s play' and 'development' led him to study for a Foundation Degree in Early Years, which he completed in 2015. Diego continued to study further with the Open University where he studied for a BA (Hons) in Childhood and Youth Studies, which he completed in 2017. All the years that Diego has been with us has given him the opportunity to cover many different roles and to fully understand the role of a playworker from a 360 view point, in both direct contact with children and away from children in his head office role. In his role as a Development Coordinator Diego organised and led in house training in playwork for our new staff. He has Play-lead at a number of CKC clubs, both small and big clubs, as well as supervised multiple clubs on a daily basis. Diego dedicates his free time to coaching a basketball team for young people in the local community. He is also passionate about photography and travel. Our Senior Play Leader is Adele, who overseas the running of the Meridian, Bourn and Cottenham clubs. Adele has worked at CKC for a number of years now and was previously working for Cambridge Childcare LLP. Adele has many years of experience working in the sector and came to kids club with good knowledge of running an out of school club. Adele is a very passionate about working with children. Adele holds a number of childcare related qualifications, including a Level 3 Diploma in Playwork. Adele has also recently took on the responsibility in putting together CKC Holiday Programmes. 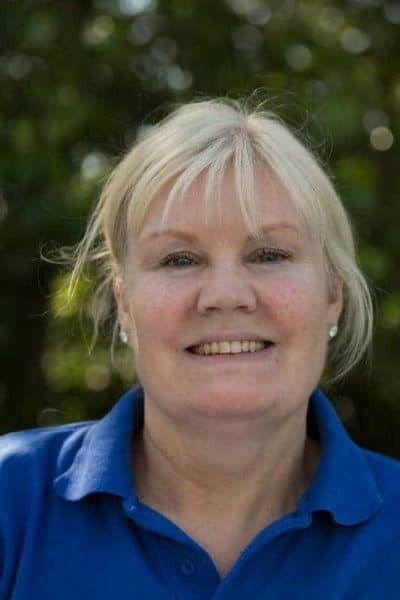 Our Office Manager is Amanda, Amanda began her career in childcare in 2011 at Kids Only Cottenham out of school club, which was taken over by Cambridge Kids Club in 2016. In the early stages of being a Playworker she completed her Level 3 Diploma in the Early Years Workforce and has since kept up to date with training. During her time at the club she progressed through the roles up to Playleader and she joined Cambridge Kids Club as an Office Manager supporting the Senior Team. As Office Manager Amanda overseas child allocations, parent queries and financing, as well as working in the clubs from time to time when possible as a Playworker and Playleader. Outside of work Amanda spends time riding her horse and walking dogs. Amanda leads our customer care and finance team, who are always on hand to deal with any queries relating bookings or finance queries. Should you have any queries please email is at info@cambridgekidsclub.com and our customer care team will be in touch to assist you. Hannah leads our payroll team which deal with all matters concerning the payrole. Her team is always on hand to deal with any payroll issues staff may have. This team is headed up by our Company Manging Director ‘Panash’, the team are always seeking to find new opportunities both locally and nationally and would be happy to speak to you should this be of any interest to you. Amalia leads our recruitment team which deals with the recruitment of new playworkers from planning interviews through to inductions. They are also responsible for ensuring all staff are DBS checked and references are cleared prior to them starting at Cambridge Kids Club. The team look after all matters concerning staff training & development, such as running our “Future Leadership Programme”. They deal with any HR related issues within the organisation. Diego leads our operations team are always on hand to ensure the daily smooth running of our breakfast and after school clubs, from taking last minute bookings and ensuring play leaders at our clubs are made aware of any changes to the daily registers to ensuring weekly food delivery orders have been placed to ensuring all our settings are equipped with the correct resources needed to run activities planned. Operations team are also responsible for registering new children. Deigo also leads our continuous development and compliance team whom are responsible in ensuring each of our settings are "up to standard" and providing existing play opportunities. This team is also responsible in ensuring all our Ofsted requirements are adhered to. The team is always on hand to deal with any complaints and queries.